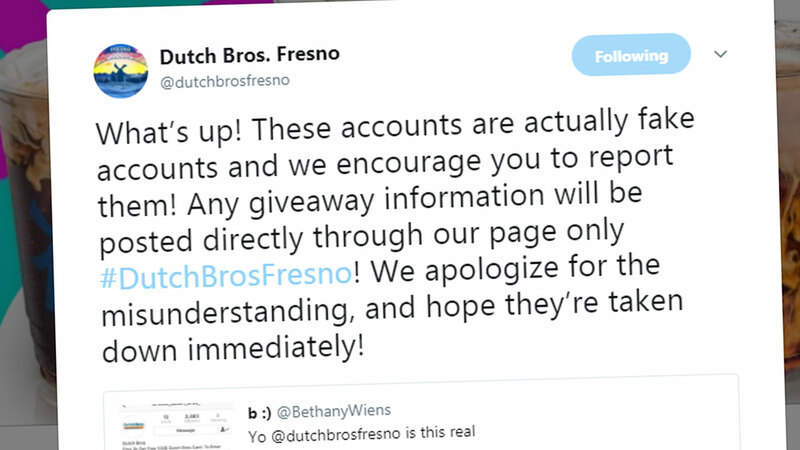 FRESNO, Calif. (KFSN) -- The tweet on the fake account promised a $100 Dutch Bros card to the first 3,000 people who followed and tagged them. When a customer asked @DutchBrosFresno is the offer was real, they the coffee company took matters into their and encouraged their followers to report the fake account. It appears that account has since been removed from Twitter.